Browser software allows a user to access and interact with websites (written in HTML, translated into readable content) on the internet. Most browsers support external plugins required to display active content, e.g. in-page video, audio, and Flash content. 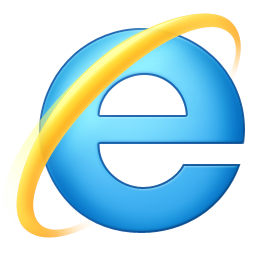 Browsers are available with different features and are designed to run on different operating systems. Browser reviews by real, verified users. Find unbiased ratings on user satisfaction, features, and price based on the most reviews available anywhere. 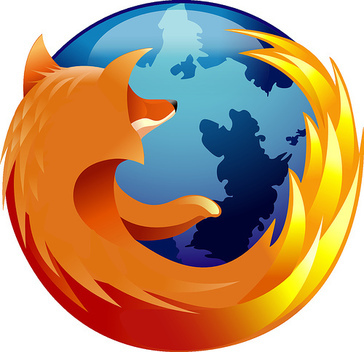 Firefox Web Browser. We are Mozilla. Doing good is part of our code. Different by Design. 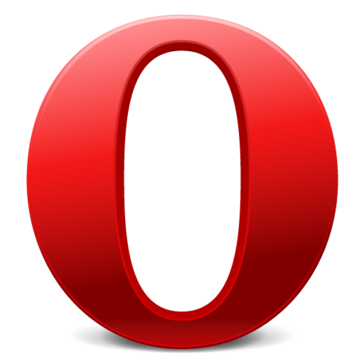 Opera offers free and easy to download Web browsers for computers, mobile phones and devices. Web-browser, advanced e-mail, newsgroup and feed client, IRC chat, and HTML editing made simple all your Internet needs in one application. Iron is based on the free source code Chromium and offers the same features as Chrome - but without the critical privacy concerns. Rambox is a messaging and emailing app that combines common web applications into one. Arc explains Google Analytics with short, easy to read messages. Ghost Browser is a task-based browser to secure online identities. Cloud-based Browser providing Internet Safety in combining Online Privacy & Security Features. Manageyum enables users to manage all their applications in one place. If you accept Pay-to-Surf, NetStop Professional is the version for you! In addition to the secure browser, you get the most functionality NetStop has ever offered. it incorporates business center (printing, faxing, copying) capabilities, Internet based faxing and HTML advertising. Wavebox lets users bring web communication tools like Gmail, Google Inbox, Outlook, Office 365, Slack, Trello & more together. Who Uses Web Browser Software? You may use your web browser so frequently that it is easy to forget it is a piece of software. Since the early days of the internet and applications like Internet Explorer, browser tools have allowed us to access and interact with the boundless information on the web. 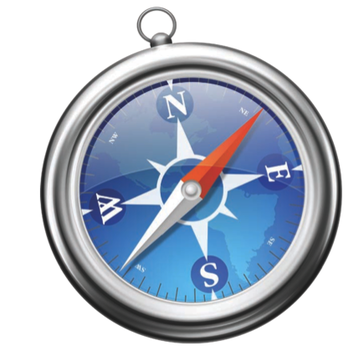 Web browsers also allow us to upload and manipulate content to be viewed around the world by our target audience. With the web as a daily fixture in our work, school, and social lives, your default browser—the platform you use most often—is an extension of yourself, just like your phone or car. There is not an overwhelming number of contenders in the web browser space like there are in some software categories. Additionally, several of the most popular tools in the category are free to download or come preinstalled on computers. It’s not uncommon for users to have multiple web browsers installed on their devices and use different ones for specific purposes, due to particular features or performance characteristics. The only way to make use of the internet is with a solid web browser. Considering the always-growing relationship between the web and the physical world, a web browser is not only one of the most practical technologies out there, it is also one of the most necessary. We use these tools to check our email, to use search engines, to pay bills, to register for services, and to update personal information across different accounts. Add in the hours of random browsing and research—professionally and leisurely—and it’s not hard to see why you should be familiar with and have regular access to a web browser. 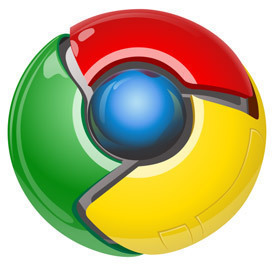 The same browsers that are used at home for personal use are used within businesses across widely diverse industries. Though you can adjust certain settings for optimal functioning depending on your use case, they remain in essence the same tool. With that being said, it’s not unreasonable to say that everyone using the internet in general—literally billions of people—use web browsers. In the professional world, though, certain groups of people are more likely to use this technology in their day-to-day tasks. Marketers — In the digital age, marketing is synonymous with a sturdy web presence and the browsing activity that goes along with it. Managing social media accounts, staying up to date on news and trends, connecting with clients, and launching campaigns are just a few of the critical tasks that involve the internet in some way. A modern marketing department wields a web browser like a hammer, with a steady stream of web-based activity. Researchers — The internet has revolutionized so many facets of the way we operate as humans, from how we communicate to how we entertain ourselves and beyond. One of the most pronounced impacts is in the area of research. It is impossible to quantify the number of research sources that have been repurposed for the web or simply uploaded directly without first being published on paper. While research associates formerly had to dig through medical journals, encyclopedias, archived newspapers, and other physical materials to do their jobs, the web has made this information readily available with the click of a button. A proper search using a web browser unlocks the sea of information on the internet for a seamless researching experience—albeit with an added risk of incomplete, falsified, or biased information. Students, both those in higher learning and K–12 education, are similarly entrenched in the internet for research-based purposes. There is still a time and place for libraries, but web browsers have forever altered the process of gathering facts, interviews, photos, and more. Recruiters — Recruiters, within both organizations and third-party staffing agencies, have to be vigilant in finding, learning about, and qualifying candidates for various positions. Today, that involves a hefty amount of digging on the web. Recruiters will look at social media profiles, criminal histories, education records, and professional reputations of potential hires by performing searches on a web browser. It’s difficult to imagine what this process entailed prior to the rise of the internet. The main functionality of a web browser is fairly similar across the board. Once they are connected to a stable internet connection, users will open a browser window on their desktop, type in the web address for the site they are trying to reach, and then interact with the site on the main display of the window. There is typically the ability to open additional tabs within a single window, so you can visit other websites without having to open additional browser windows and taking up more space on the screen. Along with these core functionalities, you may encounter the following features that can deepen your user experience. Bookmarks — Much like the paper squares that inspired the name, these help you remember your place as you navigate the endless internet. If you find a website that is beneficial for your current project or have several sites you visit regularly (e.g., company homepages, client portfolios, tutorials, etc. ), you can tag them with the bookmark feature to store the URL for easy access later on. In certain browsers you can further manage your bookmarks by renaming them and organizing them in folders as you see fit. Then, just like with physical bookmarks, you can quickly open to these pages during a future browsing session. Cookies — Cookies are a more data-based version of bookmarks, saving messages from and interactions with different websites to simplify your future visits. Saved passwords are perhaps the most common and beneficial form of cookies. If you enable cookies in your browser’s settings, sites will remember your login credentials and authentications so you don’t have to repeat this process with each visit. This also applies to other online forms. First-party cookies are those created by the websites themselves. Third-party cookies, on the other hand, are those placed onto a user’s drive from a website other than the one you are visiting. An example are Flash cookies, which are text prompts that ask users to approve the transfer of Adobe Flash content. Cookies require added data usage and can also potentially open you up to certain security risks. If you choose to disable cookies in your web browser, you can use password manager software to remember your various credentials and have them conveniently loaded into the appropriate fields when you visit certain sites. In-Browser Applications — Browser-based applications, also known as browser plugins, are helpful tools you can download and install right into your browser’s existing toolset. These can perform a variety of functions to optimize your user experience depending on what your particular needs when surfing the web. A number of standalone software categories offer versions in the form of web-based apps or browser plug-ins, including screen and video capture software and machine translation software. You may be able to find certain extensions through the developer community of your particular browser or around the web. It is important to confirm the validity of an app before installing it on your browser client to minimize the risk of a virus or other security threat. Some of the most popular in-browser apps are versions of security software that block pop-up windows and other potentially harmful data or content. Private Browsing — When browsing the web, the sites you visit and the content you view are immediately logged into your browser’s history. This can be a helpful reference later on when trying to recall a particular site. If you prefer this information not be remembered in certain cases, you can activate the private session feature offered by some web browsers. Once in a private browsing window, also called an incognito window, your activity in that given session will bypass the browsing history. Additionally, cookies and information you type into forms during these sessions will not be saved. Hi there! Can I help you find the best Browser solutions?